It’s officially time to begin celebrating the holidays and get your home ready for a busy month ahead. We’ve created a list of interior decor ideas to make your house one to talk about this holiday season. Remember it’s not a rush. 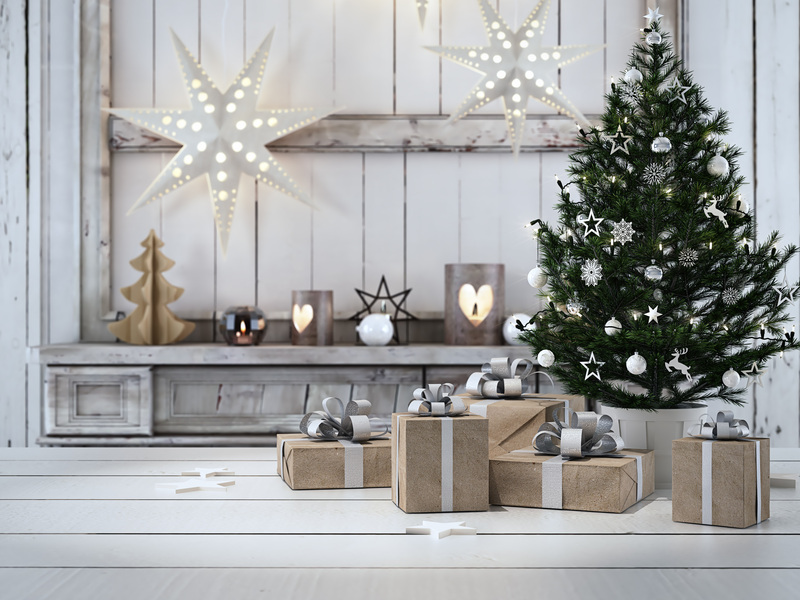 We suggest slowly setting up your Christmas decorations, working on one or two rooms at a time. Eliminating whirlwind preparation can help you enjoy the process more and focus on the little details. Setting a goal of having everything set up in early December will allow for maximum Christmas cheer. Some of the best holiday looks have a set theme. From decorating in an old fashioned Christmas theme, or a plaid Christmas, don’t be afraid to try something new this year. If you’re organizing by colour, adding accents of gold to your red themed décor can catch the eye and create a big effect. Themes can be also be centred around an object or idea. A room of your home dedicated to angels, snowmen, stars, or Santa himself can really make a statement! Just remember consistency is key when choosing a theme. Check out some of HGTV’s theme ideas here. 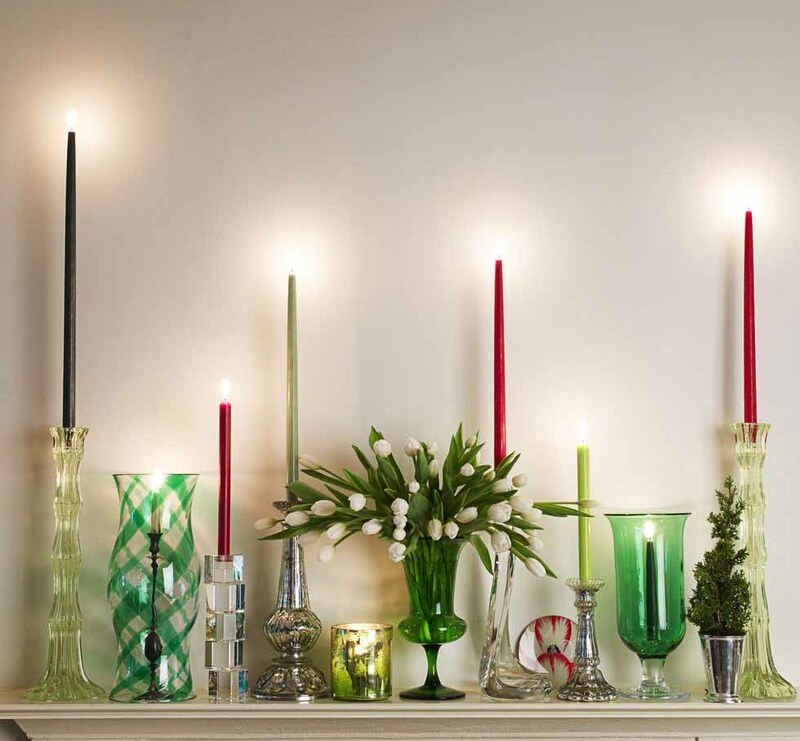 A mix of candles and candlesticks can really dress up a room. Experiment with a mix of sizes, to dress up a mantel or a centrepiece. Consider using battery-powered candles to provide a nice glow without having to worry about the flame. House Beautiful gives us some great candle decorating ideas. Evergreens, flowers and fruits make for a classic, beautiful décor. Use the rich red colour of cranberries to enhance a centrepiece, or simply wrap up some cinnamon sticks for a fragrant décor. Branch out with sprigs of evergreen or pinecones for a natural touch. Here are some wonderful DIY ideas that come naturally. 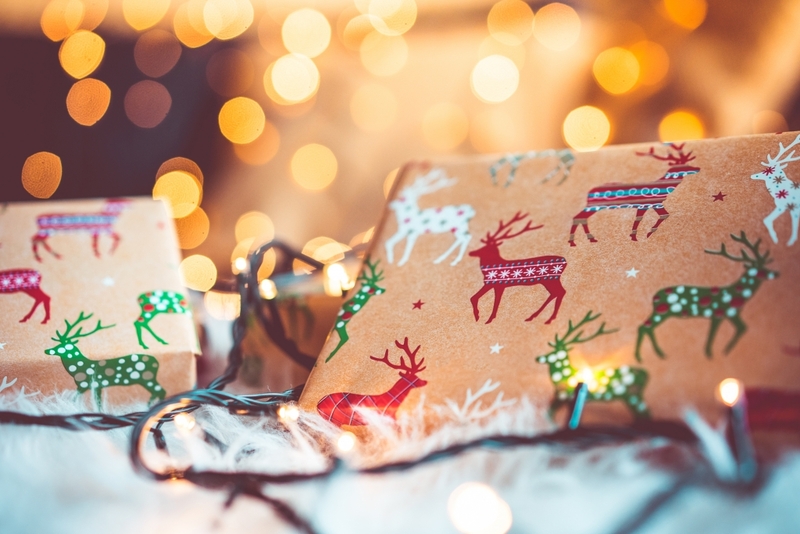 You can check out our earlier blog on eco-friendly wrapping to keep it a natural Christmas all around! 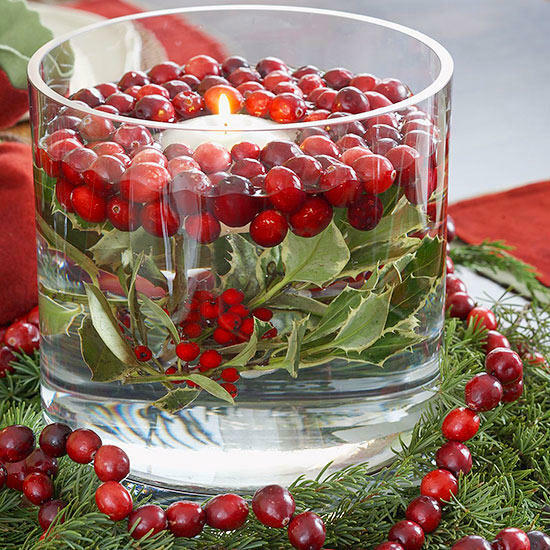 For a more natural look, BHG has some great Cranberry decor ideas you can do yourself! Decorating is more fun when done in numbers. Incorporate some of your children’s arts and crafts to give your decor a homey feel. Homemade snowflakes are an easy craft project for your children. Simply fold some construction paper, and cut to the design of your choice. With snowflakes hanging from the ceiling, your home can become your own winter wonderland. You can also make 3-D snowflakes in four easy steps. Click here to make your own. If you’ve gone with a topical theme, let your child make their own additions. There are plenty of crafts out there to make your own reindeer, snowman, or candy canes. 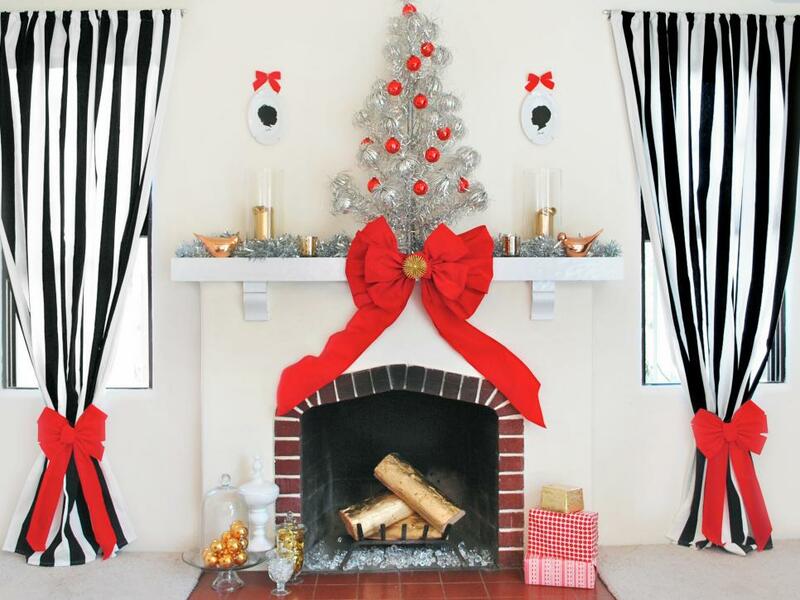 Your Christmas Tree is the focal point of the room, and probably the most fun to decorate. While artificial and real trees each have their own benefits, either will look fantastic when you’re done. Pick a good location, one that’s near an outlet, and is out of the way from family traffic. If it’s a real tree, find a spot that’s as cool as possible to prevent it from drying out. When it’s time to decorate you’ll want to balance colour, size and shape when placing your ornaments. Choose prime locations for your favourite ornaments, then start from the inside of the tree and work out, hanging larger ornaments closer to the centre to add depth. 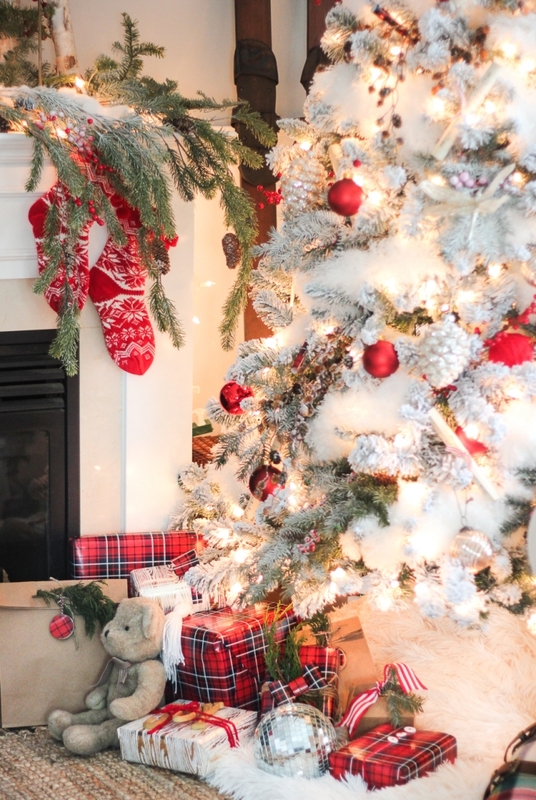 Cozy and bright is the best way to describe this decorated tree from the Craftberry Bush Holiday House Tour. Until the gifts arrive, decorate your tree with a tree skirt that will complement the other décor in your room. 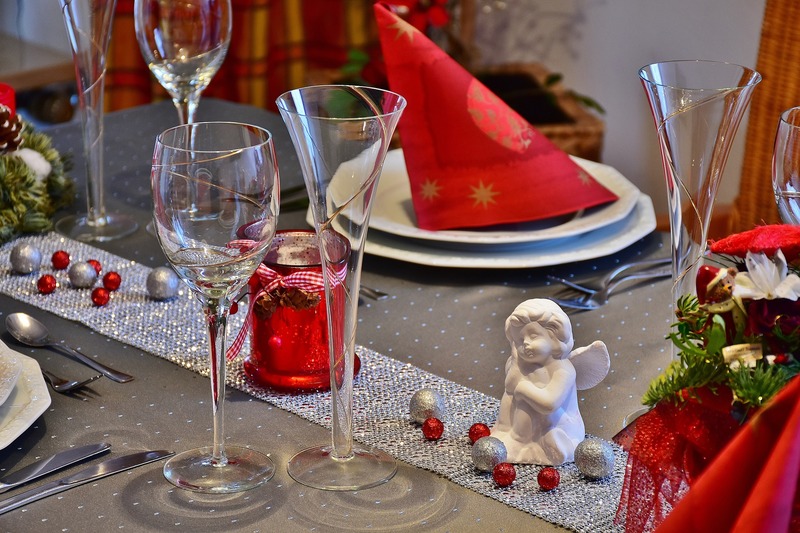 Beautify your dining room table to make your meals festive as well. A well-thought out, vibrant centrepiece will anchor your table, and will be the basis of the rest of your table decor. Country Living gives us 40 great ideas to make your table the centre of attention! Once you have your centrepiece, cater your place settings, napkins and table cloth to match. Balance the colour, theme or style for an overall look. Additionally, if your dinnerware has a pattern, incorporate the theme or colour scheme into your linens. A little touch like matching your tablecloth to your dinner plates can go a long way. Take a look at Good Housekeeping’s place setting tips, to make the table of your holiday dreams. Presents that fit your theme can act as the perfect finishing decor touch. With these tips, you’ll be so excited to welcome family and friends home for the holidays!